Glenn Holmes, a lifelong resident of the Mahoning Valley and the 63rd District, begins his first term in the Ohio House of Representatives after serving as Mayor of McDonald, Ohio for nine years and as McDonald Village councilman prior. 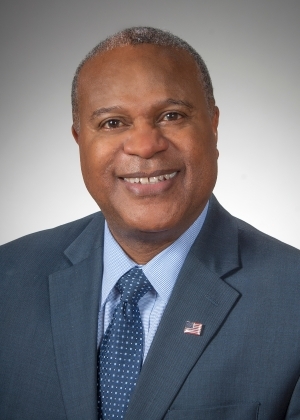 During his leadership as mayor, Holmes was able to help save the Village of McDonald millions in healthcare costs while providing workers with quality care, resulting in a $2 million budget surplus. The village was also able to maintain investments in essential services while enhancing the community with things like a new community center and summer splash park for local children. Holmes is a graduate of Girard High and earned his Bachelor of Arts in Sociology from Mount Union University. A devoted husband and proud father of three adult children and grandfather of four, Holmes believes in working across the aisle in a bipartisan spirit of cooperation to build new relationships and get things done. With a strong commitment to public service, Holmes say all things are possible through God, community and country. Ohio Public Works Commission small government committee; District 6 Public Works Integrating , Natural Resource Advisory Council; Eastgate Regional Council of Governments, Finance and Executive Committee, Chairman (2013); Chairman Mahoning River Mayors Association; Trumbull County 911 Planning Committee; Trumbull Mobile Meals Board of Directors; Youngstown Air Reserve Base Community Council; Trumbull County Community Foundation, President; Foundation of Eastern Ohio and Western Pennsylvania Board of Directors; Trumbull County Transit Board, Chairman/Vice Chairmen (2010-2013); Youngstown Warren Regional Chamber of Commerce, Government Affairs Committee (2007-2012).